When I learned I was pregnant this time around I was only three weeks along. Finding out that early sure made the first trimester seem like an eternity, especially when trying to keep this news a secret. Of course some friends had their suspicions as I’m certainly not one to turn down a glass of wine on girls' night - especially multiple girls' nights in a row! Haha! Now, we are entering into the second trimester and are well on our way to meeting baby W number two! I am working on a more detailed post of all the random questions I’ve been asked since sharing the news with our friends and announcing our pregnancy public last week so more details to come, too, but today I wanted to share my first Bumpdate. Like with my pregnancy with Madeline I won’t be doing these weekly so no fear that this little space will soon become only a pregnancy diary. Most likely I will share updates monthly until the end when things actually start changing so fast! Weight gain: 2-3 pounds depending on the day but I definitely feel like I look like I "popped" over the last week, which is so much faster than with Madeline! 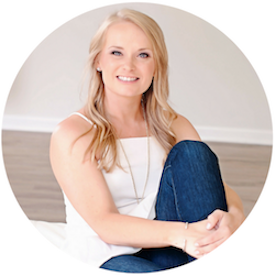 Symptoms: I have been very nauseous throughout my first trimester - which was not the case at all with Madeline and SO tired. I’d almost forgotten about that first trimester fatigue. It’s different this time, though, not being able to nap but I have been going to bed ridiculously early, especially when Corey is out of town. Cravings: for a while I was craving bacon, egg, and cheese bagels even though I don’t usually care for eggs. Now, I am craving lots of fresh watermelon. Eating lately: I’m eating five small meals a day which is pretty much my usual. I have treated myself a number of times to my favorite Mediterranean chicken kabob wrap from a local restaurant, especially for dinner when Corey is away thanks to DoorDash. I’ve tried to be more mindful of making healthy choices this time around. Exercise: I’m going to share my first trimester workout routine soon in its own post but I’ve still be getting 5-6 days a week with a combination of barre, weights, Pilates, yoga, and cardio. I do have a set routine I follow and so far it is going well. Wearing lately: I’m still wearing my regular clothes and since this pregnancy and my previously pregnancy will fall pretty much in the same seasons I will not need much. I am planning to sell some of my old professional maternity clothes, though, since I won’t need them this time around. I did order a couple pairs of maternity workout capris and tops because I didn’t have enough of these last time. Sleep: I haven’t been sleeping well but I’m not uncomfortable yet. My mind is just racing thinking of all the things I have to do - combine guest rooms, Madeline’s big girl room, the nursery, etc. that I can’t get started on yet. Not to mention my regular responsibilities! Stretch marks: None yet. Last time I used Bio Oil religiously but after reading the label more closely this time I can say with certainty that I will NOT be slathering that all over my belly right on top of my baby. Beautycounter has a great body oil and I am researching some other safer oils intended for pregnancy and using this belly butter in the meantime, which is a fairly safe product. Highs/ Lows: I am happy to say I haven’t had any lows. I have felt sick and tired but we are making progress and baby is growing so I certainly have no complaints. My recent high was Corey having an entire week off of overnight travel while he saw clients in our area. It was so nice to have him home and Madeline was just over he moon. Another high was taking Madeline to the doctor with me for my twelve week checkup so she could head baby brother or sister’s heart beat. Looking forward to: Finding our the gender soon. I don’t care one way or the other but it just makes it so much more “real” once you know, I think. 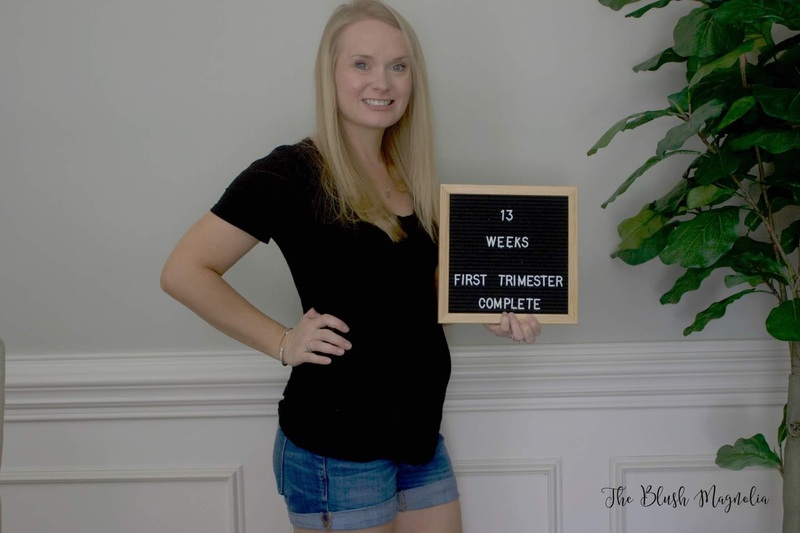 You can check out my first trimester bump date from my first pregnancy with Madeline here. You look great. Man the fatigue... I do not miss that. I literally would fall asleep at my desk. Thank you friend! That’s exactly how I feel right now! Ahhh yay for bumpdates!!! I can't wait for you to find out the gender!!!! Me either girl! Two more weeks!